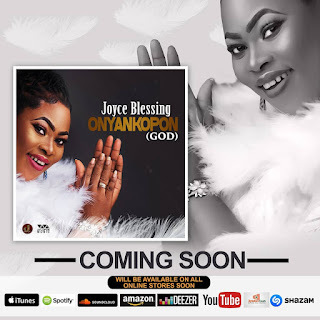 Multi gospel music hitmaker Joyce Blessing is about to unleash her next single anytime soon. The gospel diva is set to add to her musical coffers another soul healing single which she captioned ‘Onyankopon’ in a recent post she made on her social media pages. Onyankopon named in the Ghanaian local Twi dialect loosely translates in English as God. The Zylofon Music songstress early this year served Ghanaians with a stunning contemporary gospel song dubbed ‘I Swerve You’ which has virtually traveled across all parts of Africa.